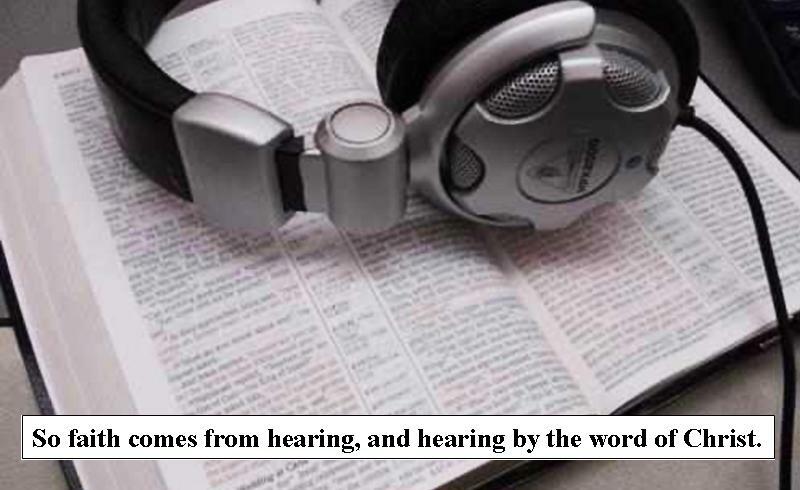 Before a person can hear, he must have the gospel presented to them, or they must have the opportunity to read a tract about the “Good News”. Without someone presenting the gospel message there can be no faith and no salvation. Believers have an awesome responsibility in this, because we are the instruments God uses to evangelize. Verse 10:15 in Romans asks: “How will they preach unless they are sent?” Before a person can preach, they must be sent by God! God is the One who does the sending! God, not man, sends forth His servants and His missionaries. We do the praying: “Therefore beseech the Lord of the harvest to send out workers into His harvest” – Matthew 9:38 and God will do the sending. Trying to pierce a sinner’s heart without the Bible is like a soldier trying to pierce the enemy’s heart without a sword. Believers do not need to defend the Bible nor do they need to try to prove that it is true. They simply need to use the Bible, trusting a great God to honor His Word and do the work in the hearts of men and women. God’s Word will go forth and accomplish its purpose: “So will My word be which goes forth from My mouth; it will not return to Me empty, without accomplishing what I desire, and without succeeding in the matter for which I sent it” – Isaiah 55:11. God’s emissaries must be those that teach the truths from the Scriptures. May we never substitute our own ideas, opinions or philosophies for the pure, unadulterated truth of God’s Word! “In Him, you also, after listening to the message of truth, the gospel of your salvation–having also believed, you were sealed in Him with the Holy Spirit of promise,” – Ephesians 1:13. Faith comes by hearing the gospel!